LIFE IS “MOVEMENT”, SO WHY STOP MOVING? Exercising may be either a way of life or an actual need. In any case, however, it is important to know that bad habits are your joints’ worst enemy: an unbalanced diet, bad posture and repetitive movements – or even traumatic ones, as in the case of workmen and sportsmen – can limit freedom of movement. It is important to consider three crucial elements that can help regain your natural ability to move. It has been shown that, if done properly, exercise, neither increases the risk of developing arthritis of the hip and knee, nor does it worsen an existing condition. In fact, it is significantly beneficial in terms of reducing pain and disability. It is worth noting that exercising properly improves our overall health, capacity and psychological wellbeing, reducing the sense of anxiety, depression and loneliness. Moreover, it boosts your social skills and quality of life, as well as preventing certain diseases. Joint diseases are increasingly affecting people’s freedom of movement and their quality of life. However, joint pain can be controlled and cured. A specialist can help you identify the cause of pain and choose the most appropriate therapy. Possible pharmacological solutions include pain medication, such as acetaminophen, drugs that reduce inflammation, such as non-steroidal anti-inflammatory agents (NSAIDs) and intra-articular injections of corticosteroids and hyaluronic acid, while non pharmacological treatments include physical therapy and healthy habits, or, in more severe cases, surgery. A balanced diet and a few adjustments to everyday life can be really important to prevent cartilage damage. This is because the joints are more likely to develop pathologies in the presence of adipose tissue. A healthy diet can lighten the weight carried by the joints, therefore contributing to their physiological performance. 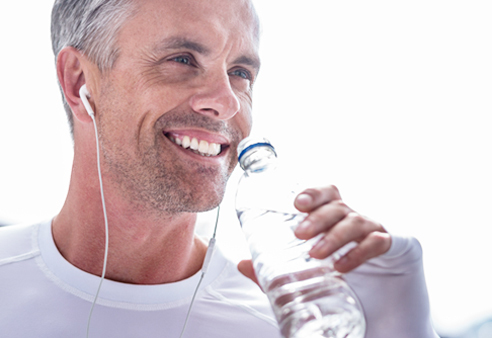 Regular exercise plays an important role in preventing and managing osteoarthritis. There are two types of mobility exercises: joint mobilization and muscle strengthening. In both cases, the success of post-treatment rehabilitation depends on the individual’s constitutional and psychological characteristics. If done properly during silent phases of the disease, exercising increases the elasticity of the musculoskeletal system, improves blood circulation and controls body weight. Exercises should be performed properly, or they could do more harm than good. In osteoarthritis, kinesiotherapy relieves arthritic joints, treats muscle contractures, and trains muscles through appropriate isometric exercises. Postural, static and dynamic exercises are also helpful. In osteoarthritic patients, hydro-kinesiotherapy is a useful rehabilitation treatment, carried out in heated water, that exploits the water’s floating principle and temperature effect to ease pressure and relax the joints. This type of therapy is perfomed in dedicated spa facilities. During the non-inflammatory phase, and provided there are no contra-indications (e.g. cardiovascular conditions, infectious diseases, etc. ), mud therapy reduces pain, relaxes muscle tension and eases joint stiffness. Physical therapy also benefits from the use of iontophoresis, ultrasound, heat therapy and TENS. Here are some easy home exercises for taking care of your knee, hip and shoulder joints. Lie down on your back and place a small, rolled-up towel under your knee. Press the towel downwards and hold for at least 5 seconds. 1 set of at least 15 repetitions. What you need: a yoga mat and a towel. Lie down on your back with your arms and legs stretched out. Bend a leg, keeping your foot firmly on the ground; lift and stretch the other leg, with the knee fully extended. 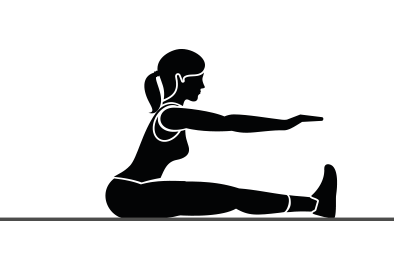 Stay in this position for at least 3 seconds; then, keeping your thigh muscles tense, slowly lower your leg to the ground. 2 sets of 10 repetitions. What you need: a yoga mat. To enhance the intensity of the exercise, use an ankle weight. Lie down on your tummy with your legs stretched out and your arms folded under your head. Keep one leg stretched out and bend the knee of the other leg. Sit down, keeping your feet off the ground, and stretch out your leg with the knee fully extended. What you need: a chair. Bend the healthy leg and bring the knee close to your chest, keeping the other leg stretched out. Sit down with your legs stretched out. Stretch your arms and touch your toes (not if you have back trouble), keeping your knee as stretched out as possible. You will feel a stretch in the back of your thigh. 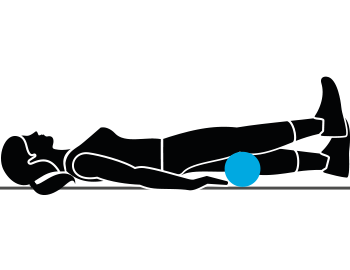 Lie down with your back flat on the ground and your arms along your hips. 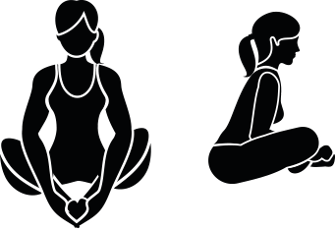 Bend your legs, keeping your feet firmly on the ground; then raise your pelvis and hold the position for 5 seconds. Return to the starting position, being careful not to arch your back. 3-4 sets of 12-15 repetitions. 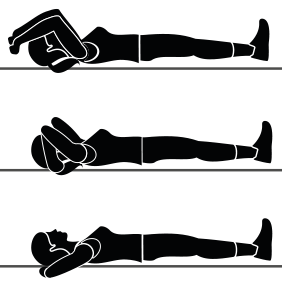 Lie down on the side with no pain; bend your arm under your head and hold it up. 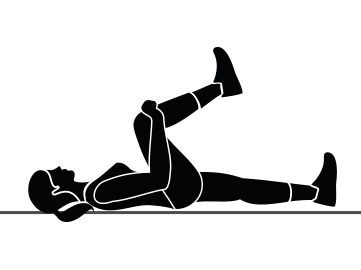 Lift the leg of the painful hip by about 15 cm off the ground. 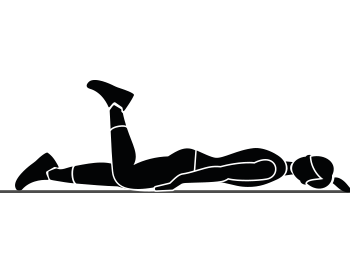 Hold the position for 2-3 seconds; lower the leg until it rests on the other one (the two legs should be parallel to each other and to the ground). Try exercising the other leg, but stop if it becomes too painful. Repeat the entire sequence 10 times. Sit down with your legs stretched out. Bend one leg and bring your foot over the extended leg, rotating your back in the opposite direction. Pull your knee to your chest with your arm: this stretches the outer side of the hip. 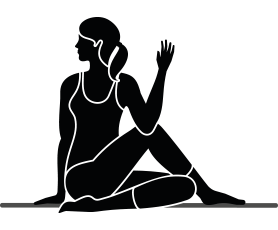 Hold the position for about 15 seconds, then repeat with the other leg. Sit down, bend your legs and join the soles of your feet, bringing your knees down. Grab your feet with your hands; bend your pelvis forward slightly: you will notice your groin and lower back tense. Take an elastic band and fasten it to the wall, waist high. 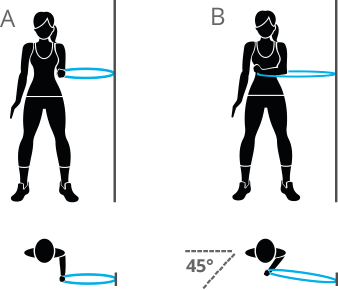 Stand perpendicularly to the wall and take the elastic with the hand facing away from the wall. 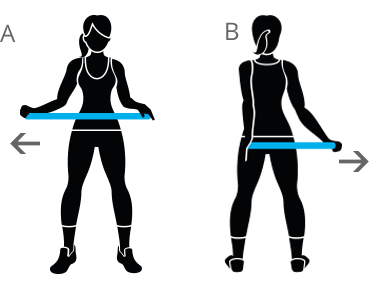 Pull the elastic outwards and horizontally in front of you, lifting your elbow by about 45°. What you need: an elastic band and a wall hook. 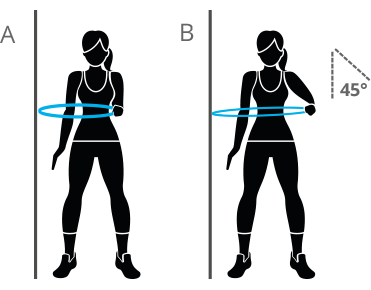 Stand perpendicularly to the wall and take the elastic with the hand close to the wall, keeping your elbow bent. Pull the elastic towards your chest. Take a stick and hold it horizontally in front of you, with your elbows bent at 90°. With your healthy arm, push the arm with the sore shoulder outwards. Repeat the movement with the stick behind your back and your arms extended. Place your hand and elbow to the side of an open door. Bring your torso slightly forward, until you feel your chest muscles tense. 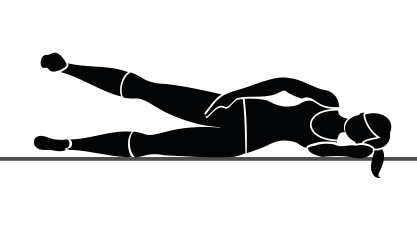 Lie down on your back and place your hands behind your head; bring your elbows together in front of your face then open your elbows as far as the floor. Hold the position and push the elbows against the floor. Your diet can affect your joints. While various molecular mechanisms, influenced by food, could damage the joint tissues, there are also many food substances that can benefit the joints: among them, phytonutrients such as flavonoids, polyphenols and bioflavonoids found in significant amounts in fruits (pomegranate), tea, spices (ginger and turmeric), wine and vegetables. These foods have been shown to have anti-inflammatory and anti-catabolic properties, as well as protecting against oxidative stress. Omega 3 fatty acids also seem to reduce joint inflammation and improve clinical symptoms in patients with rheumatic diseases. These substances can be found in fish, fish oil, flaxseed and walnuts. In general, it is important to follow a healthy and varied diet. Eat animal source foods, such as meat, milk, cheese and eggs, with moderation. It is preferable to choose organic foods, so as to avoid absorbing the drugs, hormones and antibiotics administered to animals in order to accelerate their growth. 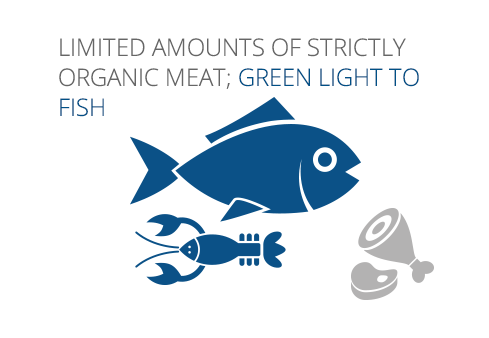 Fish is an excellent ally for your joints, preferably wild and small in size. However, do not exaggerate: 2 or 3 times a week is plenty. Reduce your intake of refined grains, especially wheat, and therefore of regular pasta, white bread, pizza and cakes. All wholegrain foods are excellent (except if you suffer from colitis), but remember to vary: oatmeal, spelt, rye, rice, quinoa, buckwheat, millet, etc. The fibre found in fruit, vegetables, legumes and whole grains is the favourite nourishment of our “good” bacterial flora. 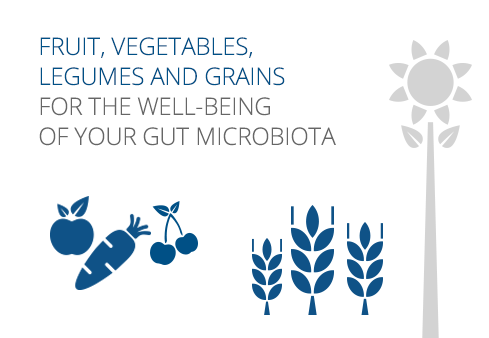 A balanced gut flora, known overall as the “gut microbiota”, enables vitamins to be absorbed and transformed, improves gastrointestinal function, helps maintain your ideal body weight and protects against intestinal and systemic inflammation. 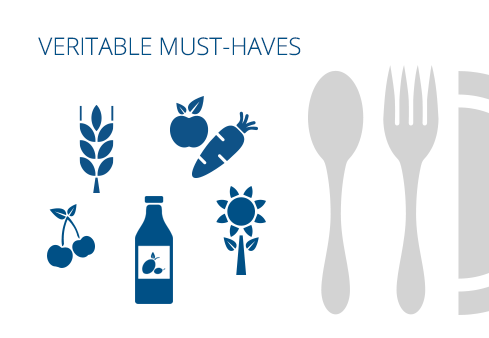 Fresh, seasonal fruits and vegetables, legumes, oilseeds, extra virgin olive oil, berries, fruits of the forest: these foods should never be missing from your table. 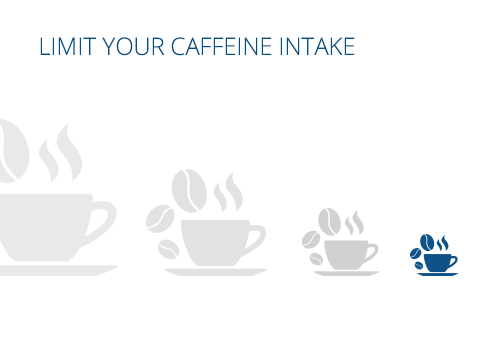 Every time we drink a cup of coffee, we also ingest a certain, albeit minimal, amount of aluminum, the metal used to produce moka pots and coffee machine filters. Moreover, high consumption of coffee has been associated with lower bone density, making us more prone to osteoporosis by increasing tissue acidosis and inhibiting calcium absorption. Some studies show a correlation – often unrecognised – between coeliac disease and the onset of autoimmune diseases. 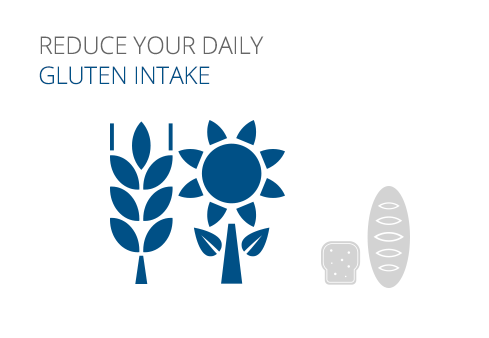 Gluten is a composite of proteins found in wheat and other cereal grains, that is increasingly present in foods. To prevent irritation or gluten sensitivity, it is advisable to vary your grain intake, and to choose those that are gluten free, such as rice, corn, buckwheat, quinoa, millet and oats. The latter do in fact contain gluten, but in a form that would seem not to irritate. These foods contain sugars that quickly raise blood glucose levels, and may trigger diabetes in genetically predisposed people. High levels of insulin are related to chronic inflammation and increased fat deposits, hence a greater probability of gaining weight. 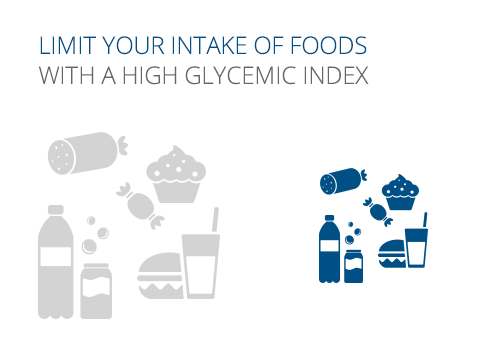 Foods high on the glycemic index include: white sugar, desserts, fructose; corn, rice, wheat or glucose syrup; maltodextrin, starch, modified starch, white flour; white or puffed rice, rice cakes, rice flour, rice milk; corn, sweetened cereals; alcohol; red meat, cured meat, cold cuts; potatoes, fries, sweetened soft drinks (including “diet” versions).